Ranking amongst the most elegant of all the ladies ice skates available on the market today, the STELLA women’s ice skates are now designed specifically for recreational ice skating as well as practice rounds of skating while still offering the kind of fit, finish, and quality you would expect from much more expensive competition style ice skates. Taking advantage of all new synthetic construction materials that provide a much more waterproof finish than the traditional STELLA construction materials did, these skates are ready for hours and hours out on the ice without ever making you feel as though your talents and efforts aren’t directly translated into the skates and into your results. You will find a reinforced upper that includes easy to lace up eyelets, and understated color scheme that keeps your feet nice and warm as well as insulated, and a wider base with extra ankle padding to protect you while you are out on the ice. 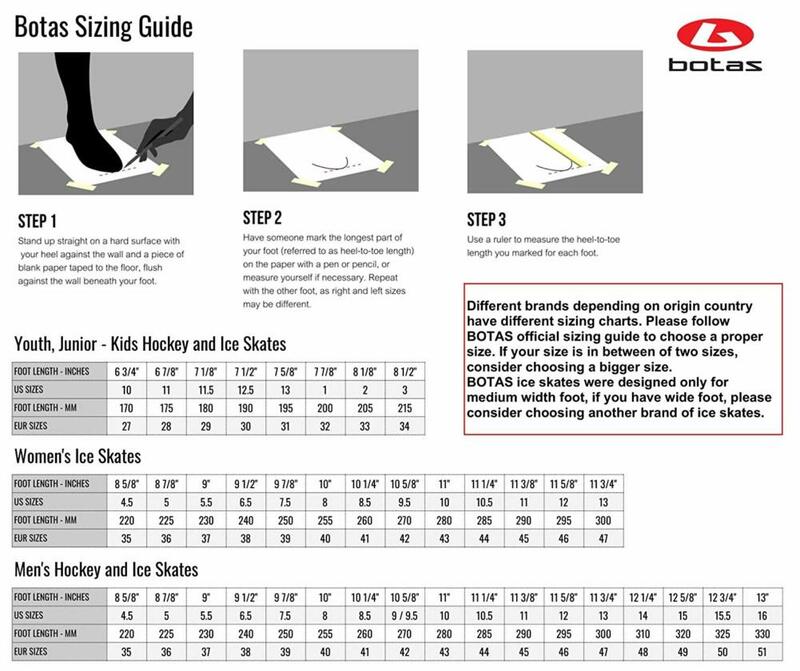 Combine all of this with the innovative blade maintenance mechanism that all BOTAS skates feature and you’ll soon see why so many new skaters are leaving at the opportunity to cruise around the ice with disease attached to their feet. Available in a number of different sizes to guarantee a perfect fit for every skater out there, this particular model of ice skate is only available in the white and brown color scheme – but it’s still one of the most elegant and appreciated color schemes (at least from a judge’s perspective). You’ll obviously want to maintain these STELLA skates the same way you would any other high-end skate available on the market today, washing them gently with nothing but warm water and then drying the removed insoles at room temperature. It will probably take two or three times on the ice to really get these skates broken in perfectly, but after that, they are going to your feet as though you had been wearing them since you first stepped out on the ice! Ranking amongst the most elegant of all the ladies ice skates available on the market today. The STELLA women’s ice skates are now designed specifically for recreational ice skating as well as practice rounds of skating while still offering the kind of fit, finish, and quality you would expect from much more expensive competition style ice skates. Taking advantage of all new synthetic construction materials that provide a much more waterproof finish than the traditional STELLA construction materials did, these skates are ready for hours and hours out on the ice without ever making you feel as though your talents and efforts aren’t directly translated into the skates and your results. Available in some different sizes to guarantee a perfect fit for every skater out there, this particular model of ice skate is only available in the white and brown color scheme – but it was still one of the most elegant and appreciated color schemes (at least from a judge’s perspective). It will probably take two or three times on the ice to get these skates broken in perfectly, but after that, they are going to your feet as though you had been wearing them since you first stepped out on the ice!